Rytas completely took over in the last four minutes of the game and grabbed the Lithuanian Cup trophy by edging Zalgiris. 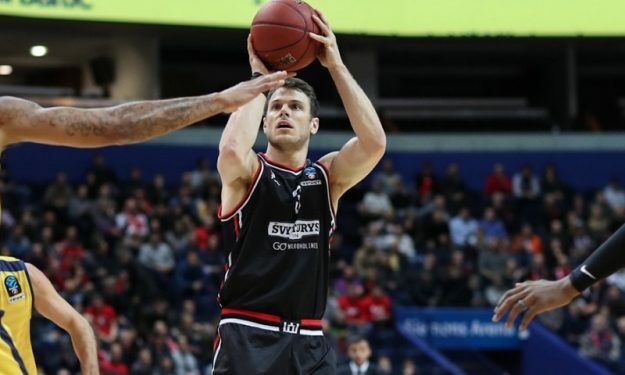 Rytas Vilnius was down but made a 17-5 run in the last four minutes of the game against Zalgiris Kaunas on their way to a 70-67 win in the Lithuanian Cup Finals. Chris Kramer scored 15 followed by Artsiom Parakhouski’s 14 and Rok Stipcevic’s 13 points. For Zalgiris, Marius Grigonis scored 15 in addition to Leo Westermann and Aaron White’s 11 points each. This is Rytas’ second trophy since the Karaliaus Mindaugo Cup’s foundation in 2015 and is tied with Zalgiris which they faced three times in the final.